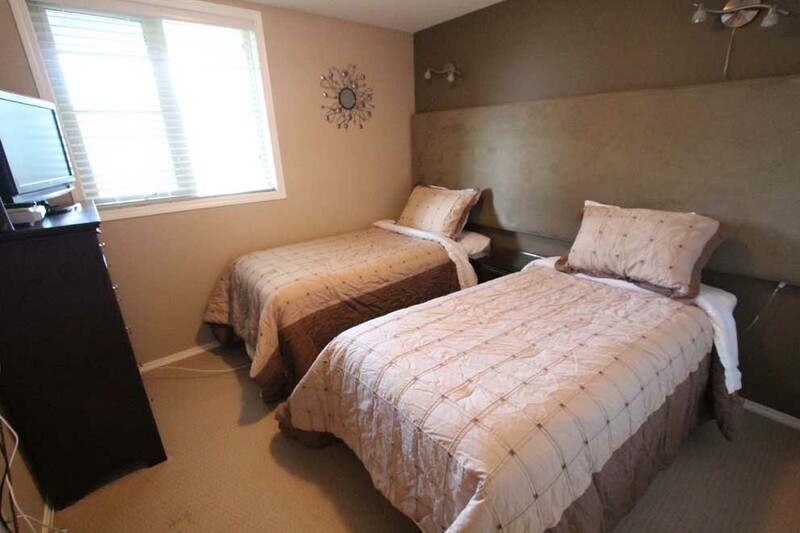 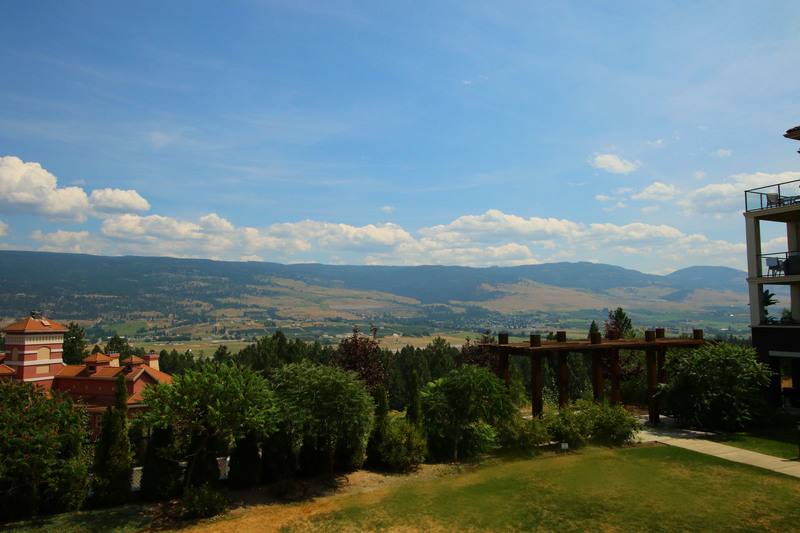 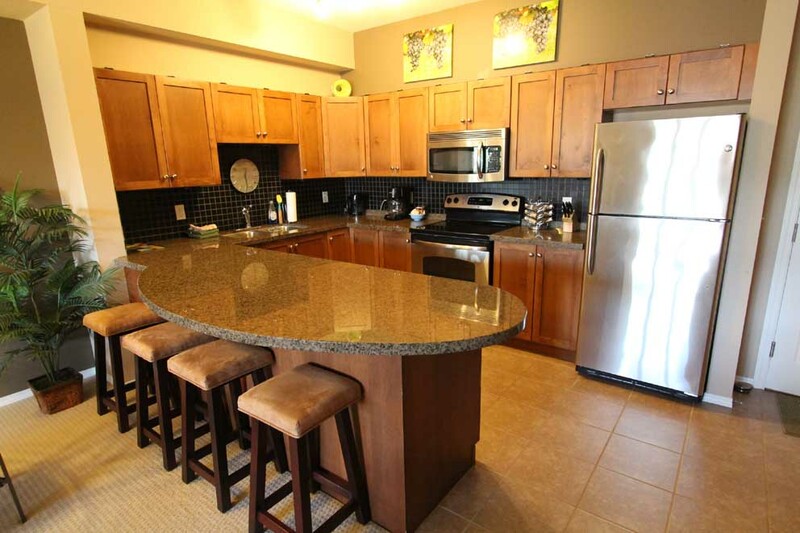 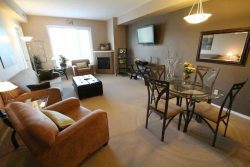 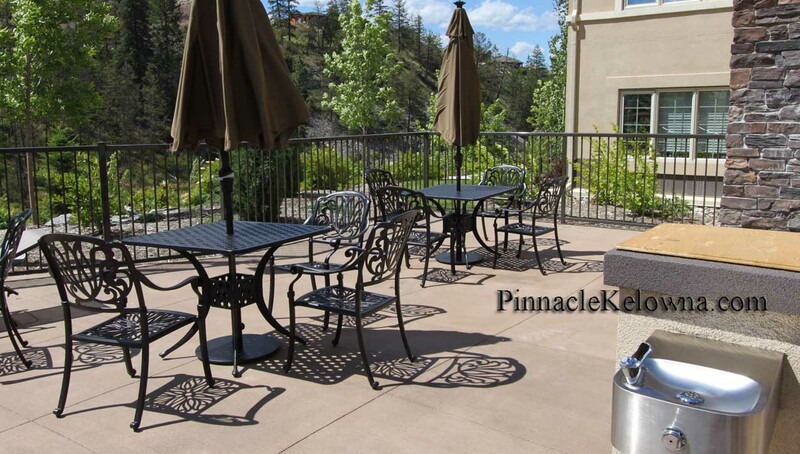 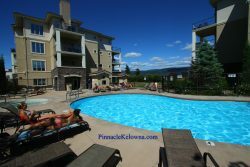 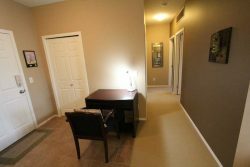 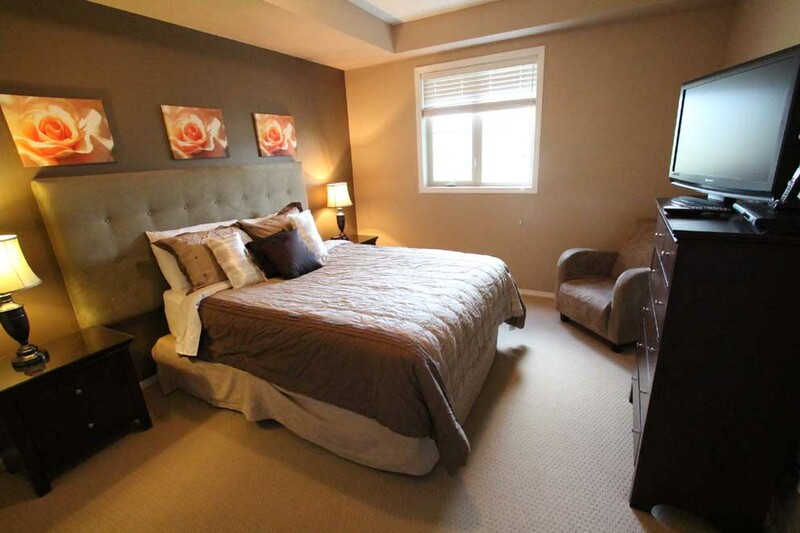 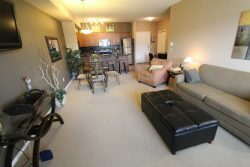 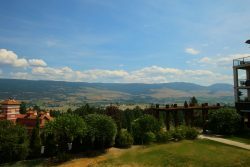 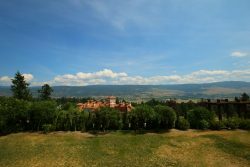 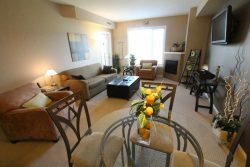 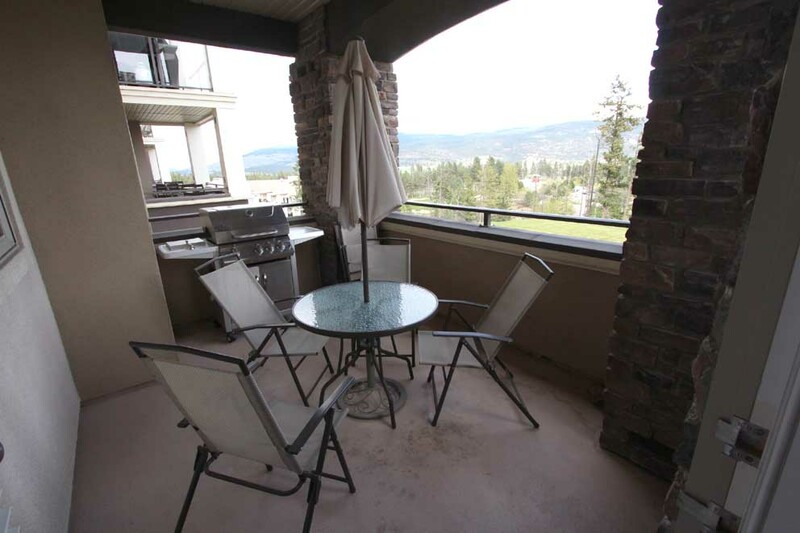 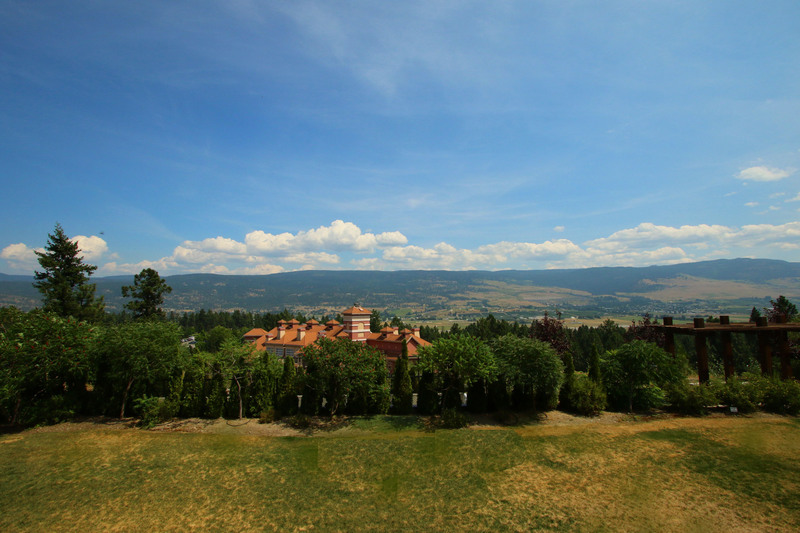 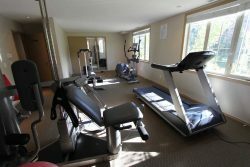 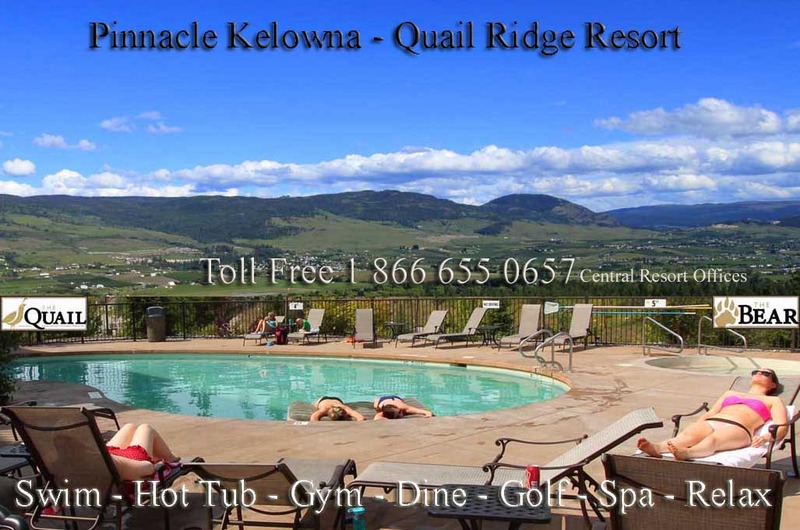 This 2 Bedroom Kelowna Accommodation features Panorama Okanagan Valley Views from your private patio. This lodging is a ideal fit for a large family or 2 small families sharing, 2 or 3 couples, a small group, or 2 individuals each needing their own private bedroom. 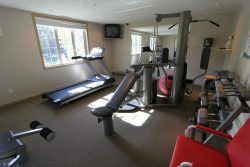 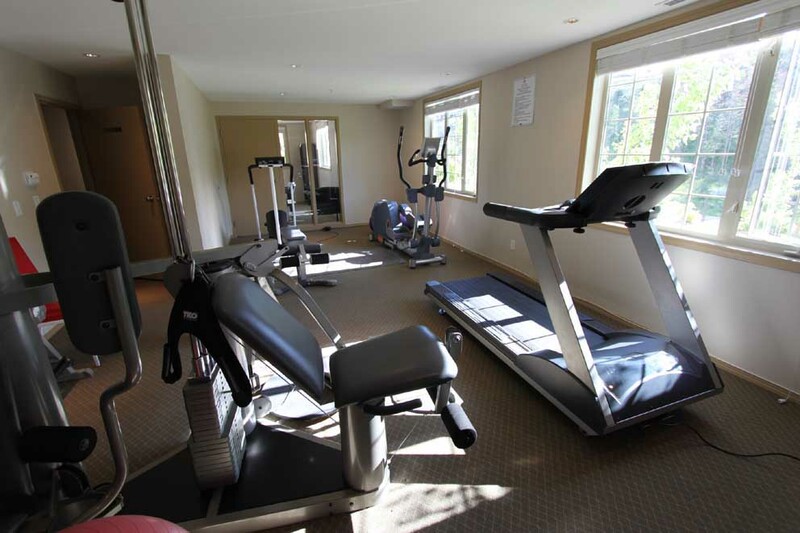 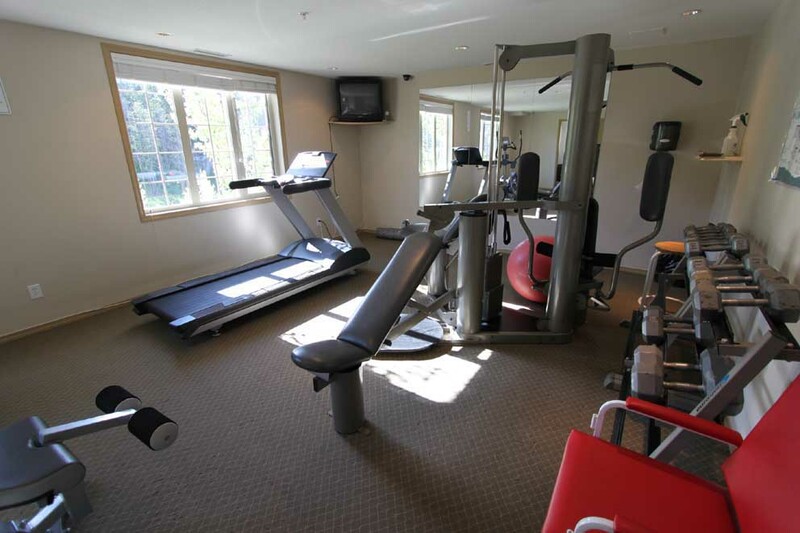 The pool, hot tub, gym and vending room are just down 2 floors via adjacent staircase for easy access. 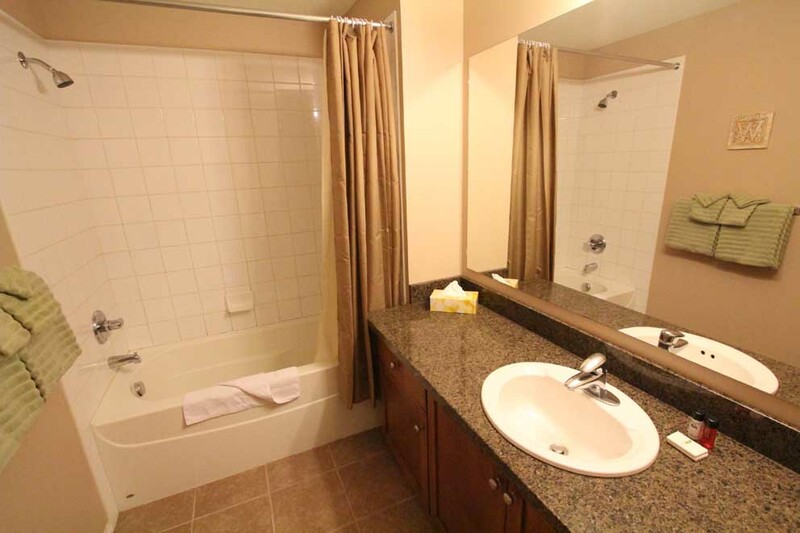 2 Full Bathrooms, Master bedroom has full ensuite with full tub shower combo, granite counter vanity, large mirror. 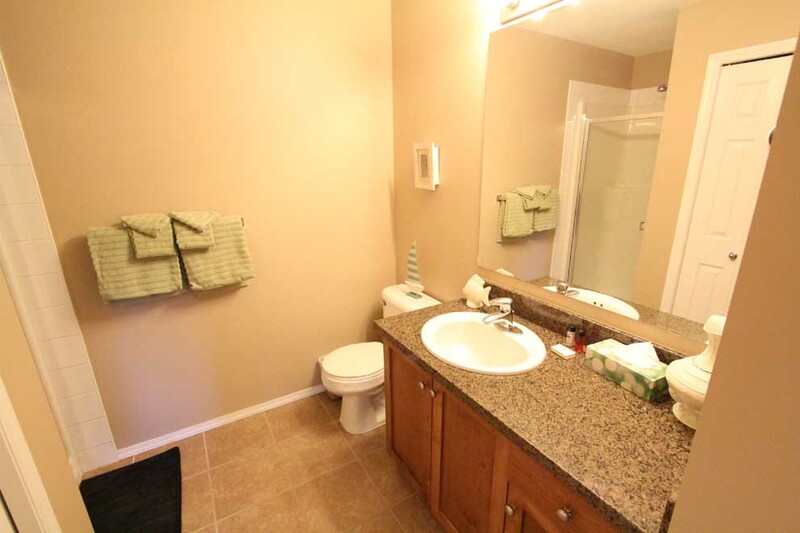 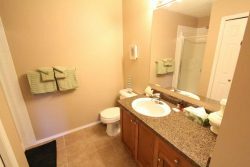 2nd shared bathroom adjacent to the 2nd bedroom has large shower, granite counter vanity, large mirror. Dining Area features elegant glass dining table and chairs. 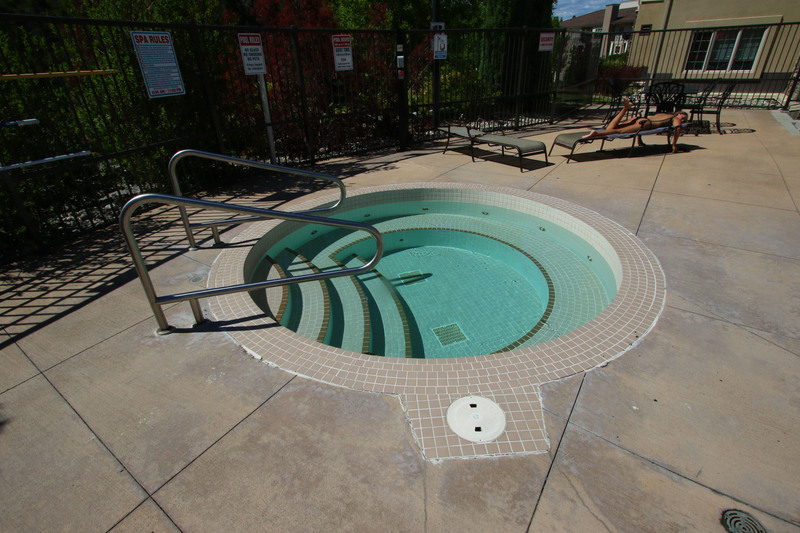 Swimming Pool, Hot Tub and Gym. 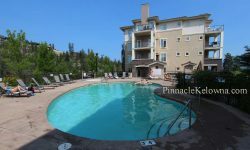 Relax at the pool on the abundant lounge chairs, 2 patio sets for social gatherings, outdoor shower and water fountain. Slip into the hot tub to relax your body after a busy day of having too much fun. 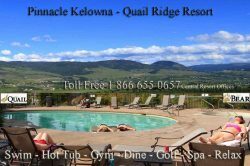 4 minute walk to the Okanagan Golf Clubhouse with Sarazen’s Restaurant, Sports Lounge with large screen TV’s, watch the big game!